Back in February, about two weeks before Samsung’s annual Unpacked event that showcases the company’s new devices, the company took to its Twitter account teasing the event. 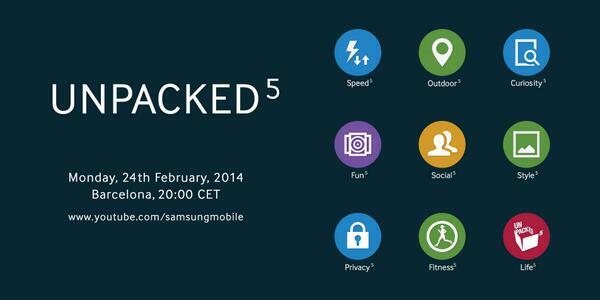 In that teaser, we saw a possible new set of icons that could be on the Galaxy S 5. Well the announcement has come and gone — with the official announcement of the S5 that’s already gone on sale — with nary a mention about these new icons. Well the folks at Samsung Tomorrow took some time and broke down what exactly that teaser image showed us, regarding both the icons and the phone in general. In that research, it was discovered that Samsung didn’t use all nine of the icons shown. The “Life,” “Fitness,” “Social,” and “Fun” icons didn’t make the cut. Although it could be said that the “Fitness,” icon could correlate with the revamped health focus of the S 5 and the S Health app. The folks at Samsung Tomorrow believe that the “Social” and “Fun” icons represent Samsung’s philosophy regarding the S5 and their devices in general. The importance of this research and reflection is that Samsung did give us a little bit of an insight into what they hoped to accomplish with the S5. Now I’m not saying meticulously inspect each and every teaser image out there, but it does at weight to the fact that if you do pay attention to what’s being leaked, you might just get a peak of what a company is hoping to achieve with its devices.